Surprisingly I haven't really delved into the brand Revlon before! Despite being a 'drugstore' brand I don't usually find myself gravitating towards their stand at all when I am browsing Boots! I would say that it is one of the brands I put on the higher price scale when it comes to affordable makeup. It's not high end, but the prices are slightly more than the likes of Rimmel or Barry M for example. Of course the 3 for 2 deal was on in Boots (When isnt it running?) and I was on the hunt for some new base makeup, I figured this would be the appropriate time to give a new brand a try. While stood inbetween the aisles I used the website Findnation to work out what shades would be best fit and got browsing the Revlon shelves. Now I had heard that this foundation was a good alternative to the Estee lauder Double wear but at a fraction of the cost. I do love ELDW, and go through phases of wearing it. It's brilliant for a full coverage base, so if the Colourstay foundation could give me the same results at a fraction of the price I would be one happy bunny. The foundation comes with a pump which I believe only got introduced in the past couple of years. I dread to think how much foundation I have wasted in the past by pouring out too much. So the pump applicator gets a thumbs up from me. The foundation comes in a good selection of 13 colour shades, You should be able to find your shade easily. I was able to find my shade & decided to purchase it in oily/combination as my skin is having a bit of a moment right now! The foundation is normal consistency. Not too thick at all. I only use probably one full pump across my face and that provides me with more than enough coverage to make me happy. It's not as full as ELDW, however if you do like it fuller, there's no reason why you couldn't put another layer on over the top. By the end of a working day my makeup still looks pretty good so i'm happy with the longevitiy of the coverage, it seems to diminish slightly on my chin but not so much that I think 'oh god my makeups gone from my chin!' The price of this foundation is really reasonable ans similar to others from the drugstore. Even though its not exactly the same as my beloved ELDW, it still is a really good medium to full coverage foundation which isn't cakey and does the job. I'd probably repurchase! When you are buying the foundation you may as well try the concealer too! I hadn't heard much about the concealer so I really was going in blind. I ended up purchasing it in the lightest shade from the 5 shades available, usually a safe bet as I am quite pale skinned anyway. Similar to the foundation is it promoted as a full coverage concealer which will be undetectable. Sounds good to me! As first impressions go I was surprised to find that the concealer is quite thick in consistency which isnt what I was expecting. I thought it would be a lot thinner, because of this I personally found it quite hard to work with. Rather than it blending in seamlessly and hiding any imperfections I found that it just kind of sat on the top of my face and wouldn't settle, which as you can imagine was rather annoying. After quite a bit of blending with my brush it evenutally would blend in, but it took some time - Not great if you are in a rush! Considering I really liked the foundation I was dissapointed to discover that the concealer doesnt work for me. 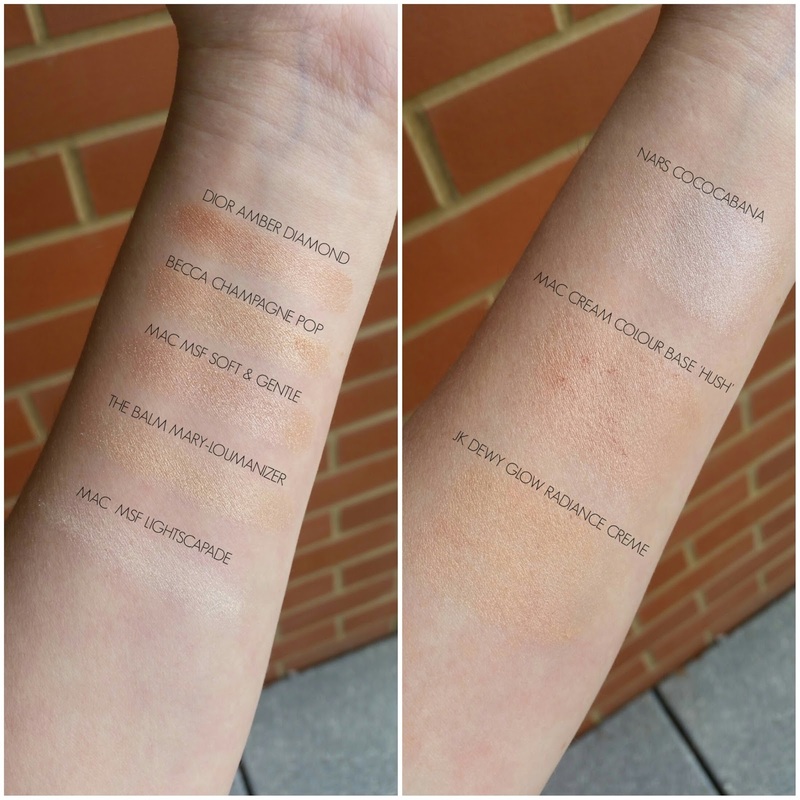 It's just a bit too full coverage/on the thick side for me personally to use. I've found myself reaching for other concealers in my collection rather than this one. I would rate the Collection Lasting perfection concealer over this one, the bonus being that its about half the price of the Revlon one. Sorry Revlon but your colourstay concealer isnt for me. I wont be buying again. A couple of months ago I saw various beauty vloggers/bloggers feature the new Mascara offerings from Revlon. They'd all talked positively about the different mascara so I decided that when I needed a new one I'd give one of them a go. I like to have long and volumised lashes so I opted for the mascara with the blue lid - Which no surprises here, is the volume and length version. Each of the mascaras have different wands to help achieve different looks. I don't like plastic wands, i prefer those with bristles so I was happy to see this one was the latter. Filled with high expectations I was keen to start using this mascara but god I was dissapointed... I really don't like it! I find the wand doesn't grab my lashes at all dispite being a bristle style one. I was sad about this because looking at the wand, I would have thought it would, and give me some epic volume. I found that the product doesn't really go on my lashes and give me the desired look I crave. I might have picked up a dudd, I don't know. But at £9.99 I don't particularly want to pick up another incase I just get the same result. As first impressions go I feel like I've been duped by all the others bloggers and vloggers who sung it's praises! Has anyone else tried this mascara and found the same? If you think I bought a dudd then let me know and MAYBE ill go pick up another to give it a second shot. 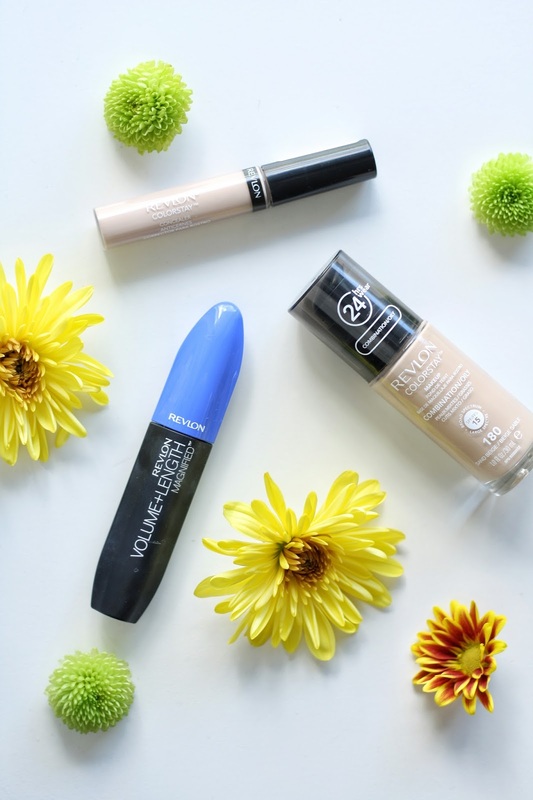 Have you tried any of these products from Revlon before? Let me know your thoughts in the comments! I don't believe that I have ever posted a full makeup collection blog post in my 5.5 years of blogging, however I have talked about topics relating to it, for example my How I condensed my makeup collection post received positive feedback. 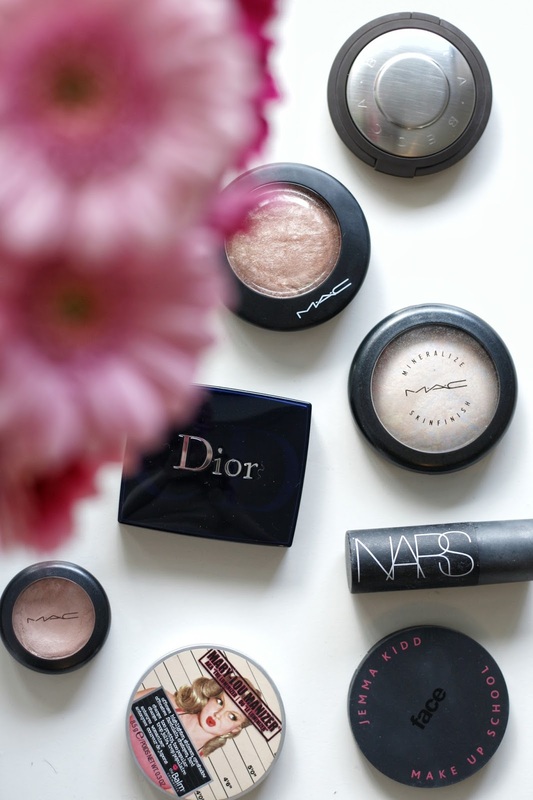 Looking around for inspiration for a blog post, I began looking through my collection, noticing that I seem to have accumulated a nice little selection of highlighting products. 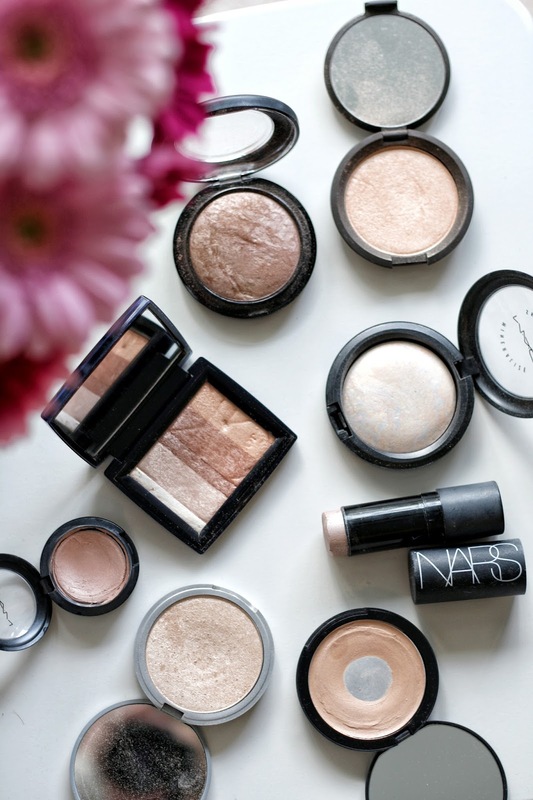 Now I know there are many bloggers out there that love a good highlight, so I figured why not share the ones I have with you and my thoughts. I do have to start off with a bit of bad news though, two of these are now discontinued so you will not be able to get your hands on them. Sorry about that! I have a selection of cream and powder highlighters, but I do favour the powders in general. I tend to reach for cream products more in the summer months, I'm not too sure why I think it's just habit because that's when i usually buy them! Hence why I don't have as many (But there's always room to add more) Starting with 1 of the discontiniued ones I am afraid, & That is Dior Amber Diamonds. I remember the beauty blogging world going crazy for this highlighter. I eventually bought it from another blogger in their blogsale. Feeling pleased as punch as it had hardly been used. A golden finely milled pressed powder suitable for all kinds of skin tones, no wonder its a firm favourite with beauty bloggers! I don't tend to reach for this one that often, however now I've taken it out to photograph I may give it a little more attention! Following that I have my latest addition to my highlighter collection & that is the Becca 'Champagne Pop' highlighter that they collaborated with Jaclyn Hill on. This too is a gold shimmer, finely milled and well, it's just perfection. Originally this was going to be LE, but now its part of the permanent line. So go buy one now. Next up I have a classic from MAC. The Mineralise skinfinish in 'Soft & Gentle' a favourite for many. This beautiful shimmer powder gives you the most gorgeous highlight. It looks like it could be quite glittery in the pan, but it doesnt transfer that way on your skin. This is one I will always repurchase that's for sure! Everyone went crazy for the balm Mary-lou Manizer in 2015 and I can see why. It's a more yellow toned highlighter but still lovely. Finely milled and super smooth to apply. Love it. To finish off I have another MSF from MAC, this time it's Lightscapade. This is a lot more subtle thant the other highlighters I have in my collection, I knwo some prefer to use it as a illuminating powder instead, similar to the Hourglass powders. Regardless, it's beautiful to look at in the pan anyway! As you can see I have a good mix of highlighters in my stash. I will admit, there are a couple of them that don't get used as much these days, so they will have to go on rotation in order to receive attention! I would say that my ultimate favourite would be MAC's Soft & gentle. The truth is in the pudding when it's the only one I have actually repurchased before! Despite having 8 different highlighters in my collection, if you think there are any that I would love, let me know in the comments and maybe I'll look into buying it to try! Do you have any of these products? 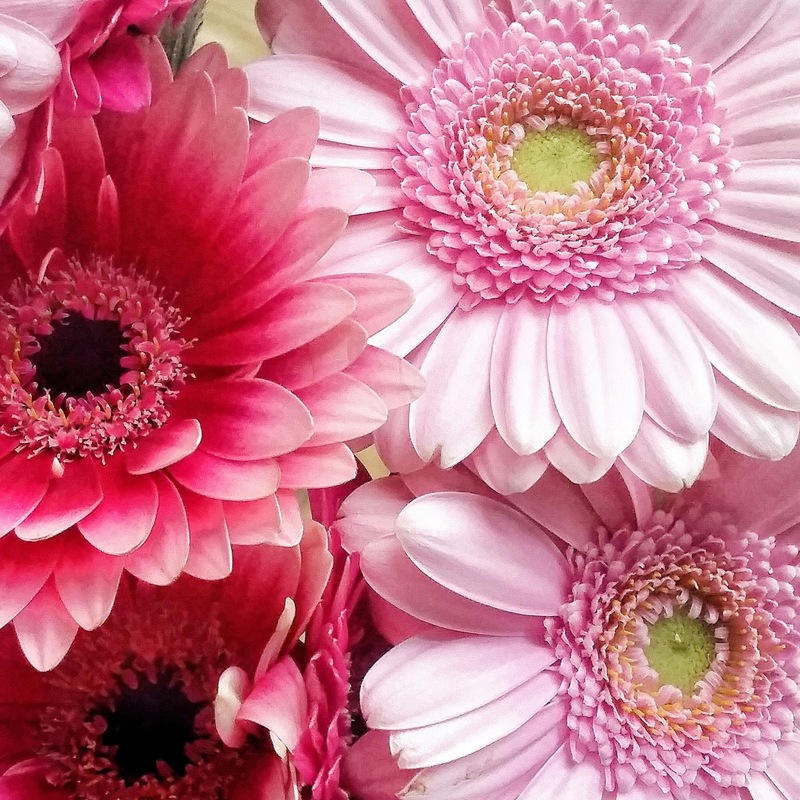 Do you have a favourite or is there one you would you like to try? LIFE: Introducing Boost Juice at The Oracle, Reading. I'll give you a little bit of info behind the company first. 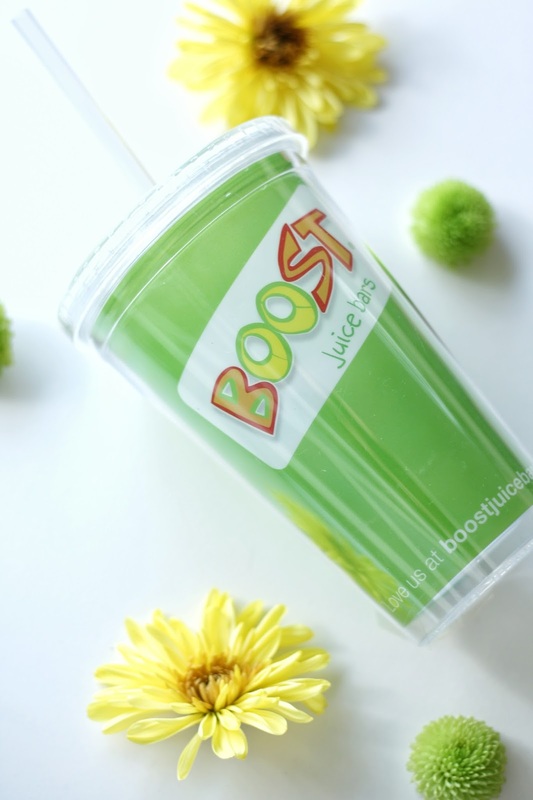 Originally the company started in Australia in the year 2000, however Boost came to the UK in 2007 & opened its first juice bar in Manchester. Since then there have been various other bars opening up in shopping centres all over the UK, including Reading. Boost offer a wide range of different products to try from. Which was lucky for me as it meant there was a variation of offerings I could psyc myself up to try at the event! From low fat smoothies, Super smoothies, juices, fruit crushers and even protein balls. There's something for everyone really. I was a little apprehensive at first, however after sitting down and hearing more about how Boost produce their drinks and having a little taster - That's right I tried a couple of smoothies!!! (and they were okay!) I was keen to get behind the scenes and try making something myself. Everyone opted for a different drink. The staff are welcome to put together new fruit combinations if its not on the menu,, just ask if they willdo it for you, no questions asked. Which I thought was great for someone like me who isnt too keen on most fruits but would like to give something simple a try - I often find the menu choices at places like this pack so many different fruits into one drink it (stupidly) scares me a bit.- What Can I say I'm a bit weird! Even if it is something as plain as a strawberry smoothie with some extra suppliments thrown in they are happy to create something tailored for your personal tastes. Boost operate a 4 minute rule. So from the time of ordering they will guarantee that your drink will be in your hand within 4 minutes, which is pretty good going. As you can imagine it could get a bit hectic in the busy periods but they still manage. During our time at the event there was a constant stream of people coming buy to purchase a drink to go. Juicing has become a lot more popular in recent years as it's a quick and convenient way to get that nutritional hit while on the go! We all had a little taster of each others creations, and I found myself liking them all, which got me thinking. Maybe blending fruits into a freshing juice will work better for me, rather than having to physically eat them! We were luckily enough to get a couple of vouchers to use in the future, so I'll be popping by when I'm next in Reading to try a fruitier flavour. I like the idea of the crushers as they sound extremely refreshing! I might even invest in something like the nurtibullet to try making at home smoothies. I've seen many others use them and they seem to produce extremely smooth smoothies (I don't like lumps in my drink, honestly I wont drink anything if it 'has bits' in!!) Smoothies and juices do seem to be a great way to get a quick fruit or veg fix and to me isn't as daunting as eating a plate of salad! Watch this space, I may be a fruit and veg lover in the future! 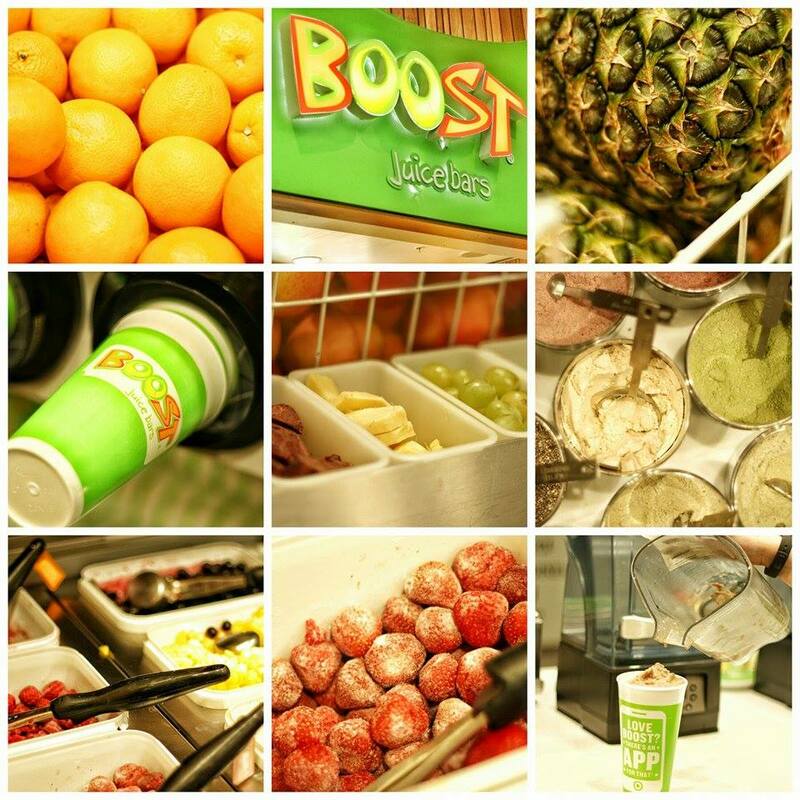 Have you visited any Boost Juice bars at all before? I had a rather social Month when it came to catching up with friends during March, starting with Charli and her boyfriend coming to visit us at the start of the Month. We took a little trip to Oxford which you can read about on Charli's blog. Due to going on a graduation day we werent able to go see all the things we would have liked. I know Tom and I are planning another trip there soon. We saw more comedy this month in the form of Romesh Ranganathan. That guy is funny. I had jaw ache at the end of his show from laughing so much. You will usually find him on various tv panel shows, giving his quite blunt but comical opinion on things. If you've never been to a show of his, I highly recommend you put it on your to do list! I treated myself this month to a new addition to my wardrobe. A real leather jacket. I've been after one for a while, and when I was in Reading with Lorna one weekend, she spotted this gem of a jacket in Zara. At £90 it's a pretty good deal in the first place compared to other jackets I'd been eyeing up (All Saints I'm looking at you) I had a voucher that took down even further in price meaning it was inevitable that it would be going home with me. Keeping with the theme of meeting with friends. I had a long overdue catch up with one of my best friends from school. We went out for dinner followed by drinks, (I don't really do drinks these days I'm such a granny!) It was lovely to catch up and see her husband and little boy Charlie too! Easter weekend saw Tom and I eating lots of chocolate and chilling out. But we made sure we had time to go out and do something, visiting Whipsnade Zoo. A Zoo I've been keen to visit for a while now. I have to say though I was a little disappointed. It's a very big zoo (which is good as the animals have a lot of space) but it requires a lot of walking. Tom and I both felt that we had just been to other zoos that were just that little bit better laid out and had more things to do/information about the animals. Towards the end of the month I met up with a couple of other local bloggers to go to an event at Boost Juice in The Oracle shopping centre, Reading. I know what you are thinking 'Leanne you don't really eat fruit, why did you go to that event' Well, lets just say I came away with a different attitude to fruit having tried it in juice form, but more on that in another blog post. Finally in March I decided to purchase myself a fitness tracker. I would like a fitbit, and a lot of people I know use one, however I could not justify the price if it's something I'm just going through a phase with. Therefore I purchased myself a fitbug. If any one would be interested to know how i get on with it, let me know and I can do a review for you. What did you get up to in March? 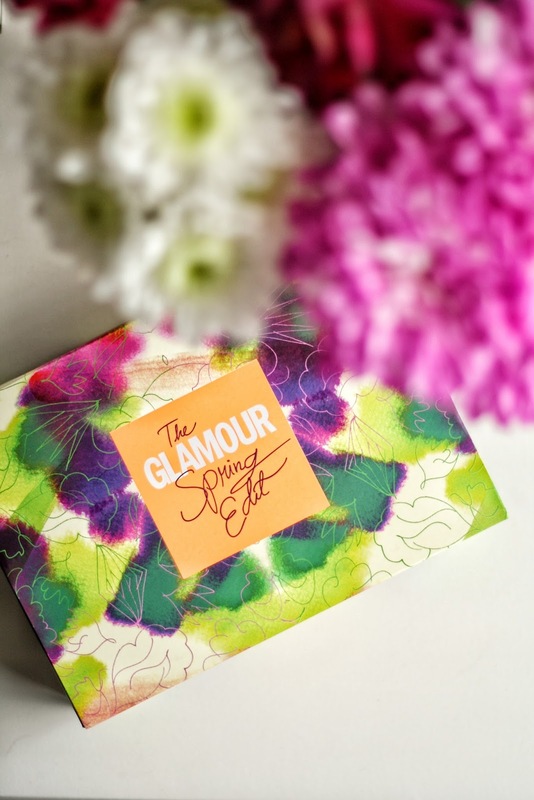 BEAUTY : What's in the Latest in Beauty Glamour Spring Edit box? Morccan Oil Treatment Light - This size bottle retails for £13.99 therefore like I said you are already getting a fantastic deal! I haven't used the light version of Moroccan oil before so I'm looking forward to giving it a whirl. The ends of my hair are a bit frazzled and honestly probably need a good trim (Tempted to have a fair bit chopped off tbh, maybe a bit of a 'Lob'. Let me know in the comments if you think I should do it?! It's a travel friendly sized bottle so perfect for taking with you on trips away or if you have an early sunshine holiday planned! Rosie for Autograph Parfum Sample - Unlike other beauty boxes, you recieve a generous (& cute) bottle of Rosie HW new perfume for M&S. I've seen a few of her products pop up in videos and blog posts recently so I was keen to give it a go. Personally it's not a scent I really enjoy so I will pass it onto a family member or friend. But as Perfume samples go, It's a great size, and if you like the scent one to keep in your handbag. If you like it and want to buy it full size, it's £28. Murad AHA/BHA Exfoliating Cleanser - I'm sure I've used some Murad before but I cant for the life of me remember what it was. Perhaps a moisturiser? I digress. I'm all for trying new cleansers & this one is a bit of a 3 in 1 product. It claims to keep your skin hydrated, smooth your skin as well as cleansing it. An added bonus with this box is that if you enjoy this cleanser a lot, theres a £10 voucher to redeem against products from the Murad website. WIN WIN! Malin+Geotz Vitamin E Face Moisturiser - I've had this moisturiser before in travel size due to getting it as a freebie with a magazine & I did like using it. It's a lightweight daily moisturiser which is oil free. If I remember correctly it sinks in well and left my skin feeling pretty nourished. I tend to mix up my moisturisers often and dont stick to the same one unless it gains 'Holy grail' status. I tend to keep these size products for travel. So this will probably be kept to the side for when I next go away! Bareminerals Bareskiin Pure Brightening Serum foundation - I have a friend who works for Bareminerals and I have banged on to her how keen I am to try this foundation. Obviously when it comes in a beauty box the chances of it being your shade is very slim...and in this case it wasnt. it's too tan, however I bought myself some fake tan the other week and panicked because I didnt have a darker foundation....now I dont need to worry! After receiving the box, I did however pop into HOF and get myself matched up with the correct shade by my friend. So now I have a couple of samples to try! Illamasqua Precision Ink Eyeiner - This bad boy retails for £20ish - so combined with the Moroccan oil it makes this beauty box so worth it! I've used this eyeliner before and I really do love it. Unfortunately I have misslaid my Kat Von D Tattoo liner so this is a great alternative to use while I try and find it! It goes on quite wet but dries really quickly. Doesn't smudge or transfer at all. I bladdy love it! It's a very opaque black that doesnt fade. If you fancy trying something from Illamasqua I do recommend giving it a go. MUA Luxe 10 shade Palette - This palette is available in two variations. There are two different palettes you may recieve in your box. A bronze toned selection of shadows and then the more purple/pink tones, which is the one I have. I havent tried this yet, nor have I tried any MUA eyeshadows to be honest. Looking a the palette I'm wondering if it could also be used as a sort of highlighting blush? (i'm feeling serious bobbi brown shimmer brick vibes) What do you think? Overall I think this is a really good box which definitely has something for everyone, and products varying in price. Like I pointed out in the comments of the individual products, a couple of them really 'make' this box for me in regards to what they are and the value for money. 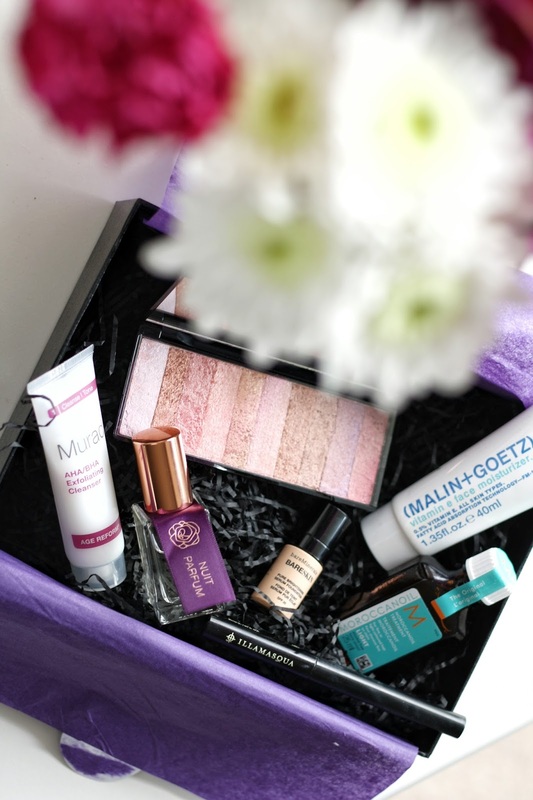 Beauty boxes are a great way to try out brands you haven't used before or even stock up on travel sized items throughout the year for your summer holiday! I like that you can see what you are getting before hand. It's been so long since I've been subbed to a beauty box, do they still keep it a secret in regards to what you get each month? Let me know in the comments!